News has been flowing out of Kings Dominion over the last week about their plans for their upcoming 40th Anniversary Celebration which will take place over the 2014 season. The latest bits of News include the Return of the "Singing Mushrooms" as well as the "Clown Bands" the "Candy Apple Grove" and the "Floral Clock". Things seem to be moving forward quickly as they've already begun to re-build and possibly install components such as the Singing Mushrooms and Candy Apple Grove. The Kings Dominion Facebook Page Reports: We take you behind the scenes of Garner Holt Productions and TIVOLITOO, which are building our Singing Mushrooms and Candy Apples for the #KD40 Celebration respectively. 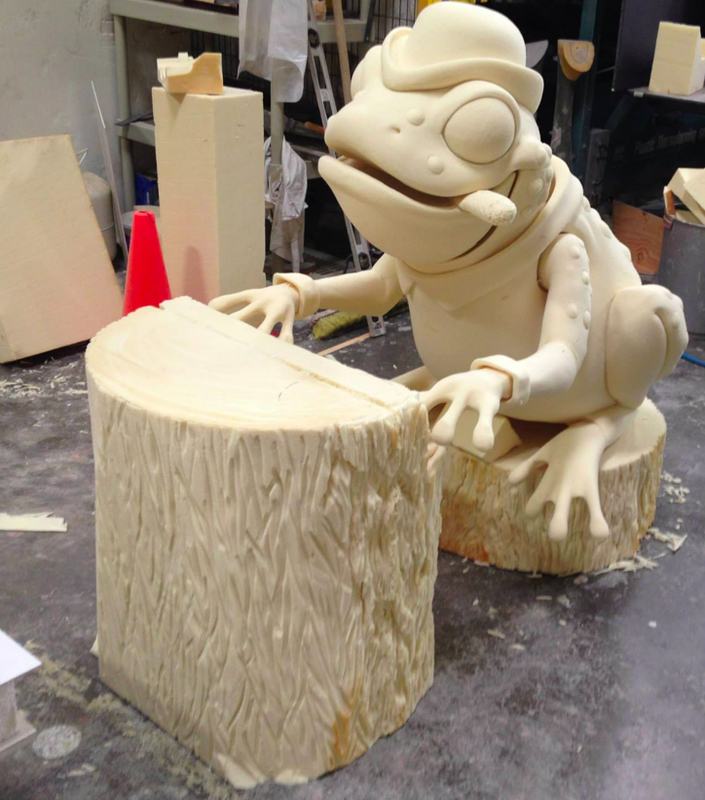 Garner Holt in currently making the infamous frog and TIVOLITOO is using an original candy apple from Kings Dominion to create 20 new large candy apples to be installed by the spring of 2014! Enjoy! The park has many more great photos of the rebuilding and reconstruction of both these iconic items on their Facebook Page. So make sure you stop over there and take a peek!